A leader in investing in automated ways that you as a brand can merchandise on their site, Walmart is currently the only retailer that has an API for item setup and content refresh for 1P, marketplace and rich media, as well as full catalogue submissions. We have worked closely with our partners at Walmart to test and implement their new supplier API within Salsify's Product Experience Management (PXM) platform, which is currently saving Salsify customers valuable time and painful manual effort. This direct connection is an unprecedented opportunity to expand market share with the world's biggest retailer. Customers such as Mondelez, Meyer and Drive Medical are using Salsify to manage and drive impactful product experiences on Walmart.com. If you have questions about speeding your Walmart assortment to market, or about the new supplier API, email us at walmart@salsify.com - we're happy to help. If you'd like to see how we might be able to help you, register for a demonstration with one of our specialists (button below). We will continue to update this page with Walmart Content updates, so feel free to bookmark and subscribe to our blog. The consumer product goods (CPG) category still has a lot of gains to make in ecommerce. Dr Pepper Snapple Group adopted an agile content creation strategy across its large portfolio of brands to take advantage of digital opportunities and are reaping the rewards. Jordan Ste. Marie, Sr. 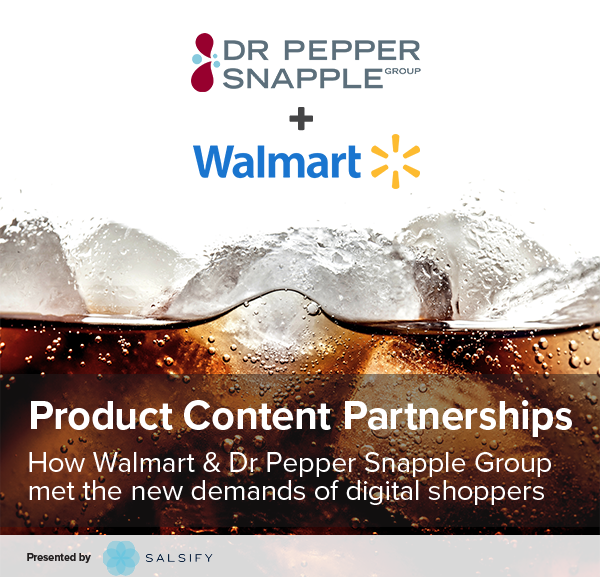 Manager of Ecommerce Marketing at Dr Pepper, shares three things every CPG brand can do based on his successful experience enhancing product content on Walmart.com. Are you ready for Walmart's ecommerce explosion? Walmart.com represents a massive opportunity to extend your products to a large, valuable segment of consumers. There’s no better time than now to elevate your position on the digital shelf and ensure your products stand out from the competition. Salsify is one of Walmart’s premiere Content Service Providers (CSPs). Salsify has some great news! 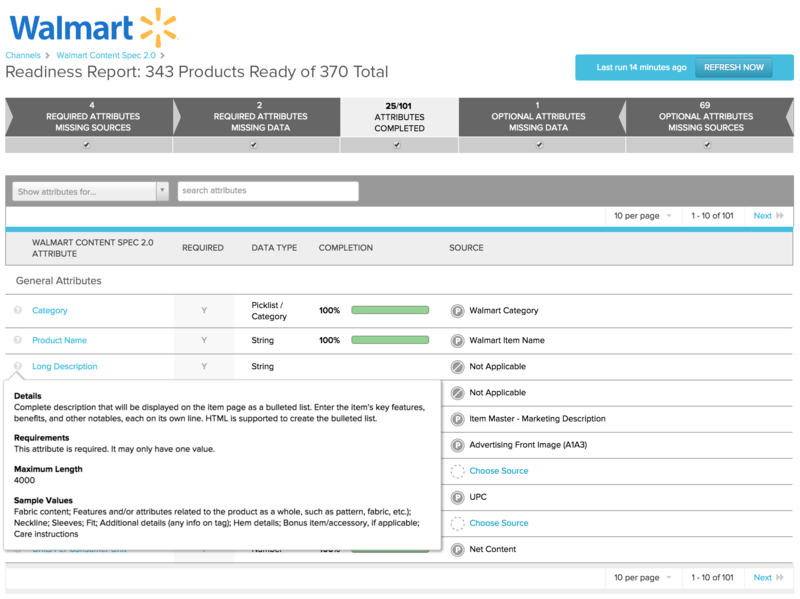 Our customers are some of the first to be able to deliver product content directly to Walmart through their API. Ready to see Salsify in action?